Tom might want to pay attention to growing inequality in family income in America, if he cares about our nation’s future. American government is like a family? In some ways, but beware of over generalization. It is pretty silly when Congress proposes to pass laws to force itself to do what it otherwise wouldn’t do; this reminds one of New Year’s resolutions. “It is only fair we put the gimmickry of the last Congress behind us.” There is no evidence of any intention to do that yet. These “No Budget, No Pay” acts are good examples of gimmickry. Balanced budget? Trying to balance the budget, which is unnecessary, would likely trigger another recession if attempted now. Tom again suggests that future generations will have to pay back current debt. This is nonsense: the national debt and private debt are entirely different things. No individual is responsible for repaying any part of the national debt. True job growth? Tom likes phrases such as “true this” and “real that”, but who knows what he means by them? While Tom’s writing seems a mish-mash of silly ideas, this sort of thing seems to work for him politically. Perhaps correctly, Tom seems to have no fear of underestimating our intelligence. Tom isn’t listed as a cosponsor of either bill yet. “No Budget, No Pay” acts may be unconstitutional because of the 27th Amendment. Tom, who is often quick to call laws he dislikes unconstitutional, is evidently unconcerned about the Constitution in this case. 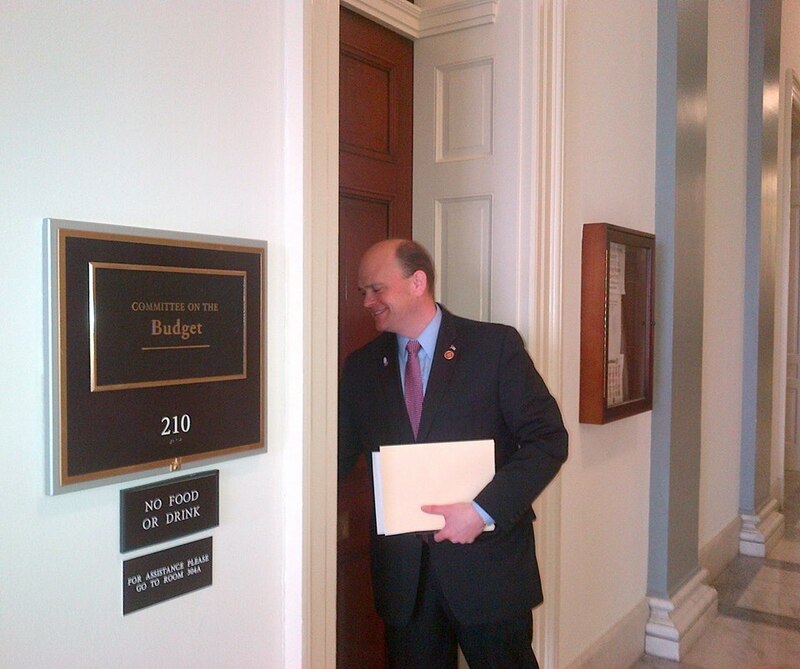 This entry was posted in Congress, Constituents, Economics, Education, Political, Reed's Views and tagged balanced budget. Bookmark the permalink. This is grandstanding, pure and simple. There’s no danger of any of them having to give up anything, and still, Tom can point to this and try to claim some populism points. The ever-growing income gap would be exactly the thing he should be looking at, but since he seems to feel he’s climbing into the side of the “haves,” why would he? “No Budget No Pay” baloney again? If I remember correctly, Reed and others didn’t miss a beat collecting their reserved pay after a previous Debt Ceiling crisis was settled. It really is a gimmick – to suggest Congress members would be pressured by losing their pay; most could go years without government paychecks on their own personal wealth. So if in fact, the government were budgeted as a family wouldn’t the naughty children be responsible for the broken war driven economy? Still, those brats who broke it, continue to want the innocent to pay for their irresponsible acts. Yet another feel good titled bill that is the antithesis of what is needed – that being a bipartisan effort to bring the middle class back into being vibrant. I suspect that Congressional pay is a small part of their income. Don’t worry. Even if they do not get paid I have a feeling other sources of income would be available to them.